There is some validity to the argument that Uber is flaunting the law in Victoria and other states by continuing to provide services that are non-compliant. But it’s also true that the company cannot merely stand still and wait for two years while state governments get their regulatory house in order. It’s good to see fast-moving innovators like Uber continuing to push the boundaries and force governments into improving the law to deal with new technologies. At the end of the day, Australia wants ride-sharing services to exist because they are a useful innovation. Victoria and other states can either follow the sensible ACT Government approach and regulate this kind of service in a health manner… or continue to face the embarrassment of Uber defying the law. While I understand the concept of upholding Uber as one who is actively attempting to enact change, albeit through illegal activity, would we feel the same way about licensing in other areas that create barriers to entry. Is it because it’s taxis that it’s acceptable? I’m seriously curious about this, especially given that in the long run the drivers are at greater risk of ruin (and there’s plenty of stories out there of unethical behaviour at Uber in their operations, along with their competitors). My problem with Uber thumbing their noses at regulation is who pays the bill when something goes wrong? Part of the reason things get regulated is to offer us consumers a measure of protection against things going wrong. So far as I can see Uber are unstoppable because they have met a clear customer demand in an efficient and innovative package. The answer to all this is for the government to provide a regulatory status. The alternative is that we have an unregulated industry. Government has only 2 options, or in the end the legal process will enforce a really bad end game. Uber can be “legalized” (Uber and it’s drivers are acting contrary to the law) and the plate owners paid out 3 billion dollars in both NSW and Victoria. Both these government were selling plates into this market with the Taxi/Hire car laws underpinning their value, these plates were then bought by ordinary people (and ex politicians and a whole host of rich dudes). It’s beyond any doubt if Uber is allowed to operate the legal process will eventually recover the plate values from the tax payer, it’s no different to a Government resuming your home to build a freeway. Government must pay out if private property interests are taken from their owners. That’s the reason why they are sitting on their hands waiting for something to happen, they know Uber has some popularity and people may want it but don’t want to pay out plate holders, the cost is very high. The second option is simply make the fines for Uber untenable. Cancelling drivers licences and seizing cars if caught driving contrary to the Passenger Vehicles Act, and passing a “Racketeering” Act and cancel credit card transfers and arrest Uber’s employees. When the 10,000 Plate Owners pool their resources and sue, it’s game over the Government pays out or closes Uber. What would Publicans do if there was an Uber “drink sharing app” and people began selling home brewed beer from their homes. (maybe a good thing Uber could ban poker machines). I don’t know why you’d pay out the plates. Private hire car services have existed in all states longer than any taxi service. The plates were sold knowing hire car services existed. This is just technology disrupting another market. Sure, the hire car regulations must be met by uber and it’s drivers, and if they aren’t they should be. If the regulations cannot be met (because they are structured in a manner that prevents it being possible to comply) then the regulations need tweaking. But just because technology found a way to optimise hire car services, doesn’t mean that taxis suddenly need free money. 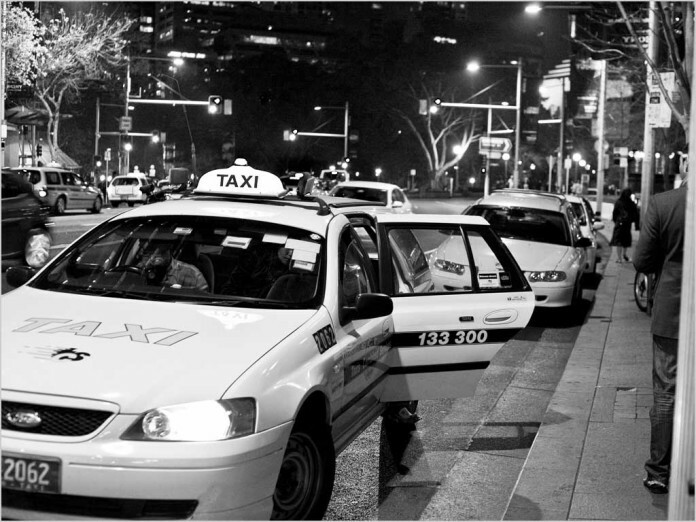 Taxis need significantly more regulation than hire cars, because the passenger and destination are both completely unknown at the start of a trip. Whereas a hire car starts from a position where both parties have traded names, and payment is basically settled before the trip even begins. Not to mention the driver has no cash on him, and the driver is not allowed to pick up people without a prior booking. Both of these factors make it safer for the driver. There is a public drink sharing app. It’s called calling up your mates and going to a party. Amazingly, in many instances you can go to your mates house, and chip in for a beer run! > years while state governments get their regulatory house in order. That’s a great argument. Ice dealers can use it too. Why whould they have to wait around for years for the government to legalise ice? They should just ignore the law and get on with making money, because profit is always more important than obeying the law.